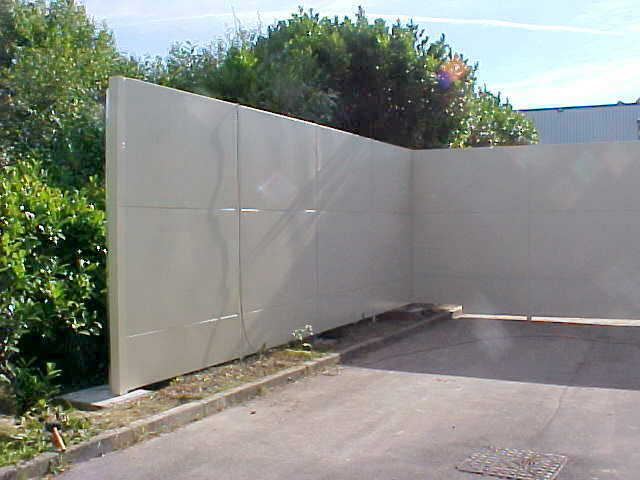 A Noise Barrier Screen for a prominent UK based paint manufacturer supporting a global coating supply network. To survey, design, manufacture, deliver and install the required 3m high screen, to partially encompass an area of approximate overall size 18m long x 12m wide. To harbour / shelter an adjacent residential property from the noise nuisance emanating from 24-hour site traffic and the associated loading activities. Full site survey to identify site boundaries and the exact location of an adjacent residential property, and to confirm anticipated noise levels with the view to determining a favourable and effective position for the required screening. 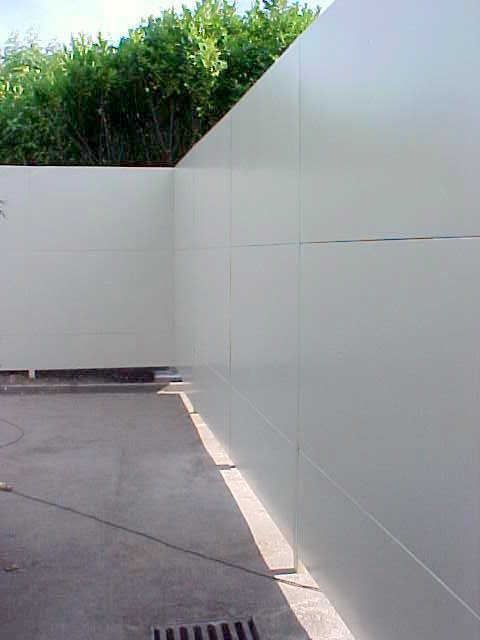 Bespoke screening elements to suit installation on a combination of both natural and man-made terrain. The erected barrier to be fit for purpose in providing an appropriate noise reduction to the neighbouring residential property in accordance with BS4142, to be structurally sound and capable of withstanding the relevant wind & snow loadings placed on this high level installation during adverse weather conditions. The prominently placed barrier to conform with the agreed architectural requirements and to be both practical, cost-effective & functional at the factory side, and aesthetically acceptable and harmonious with the surroundings at the inhabited side (with no ‘line of sight’ through the screening from the nearby residential property). All structural steelwork galvanised, barrier screening being of mixed material construction utilising both pre- galvanised and pre- colour coated steel fascias (to suit residents colour preference), and all to provide a guaranteed minimum life expectancy of 15 years. 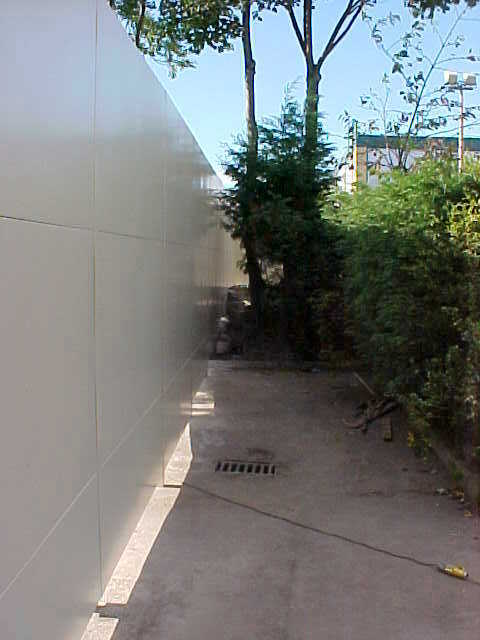 The acoustic screen provided a noise reduction of 15dB, bringing operational noise levels of the new plant to 10dB below the existing ambient background level for day & night time, thereby avoiding complaints from neighbouring residential properties and enabling the facility to remain operational 24 hours.